In May the Flipped Learning Global Initiative announced the launch of the Academy of Active Learning Arts and Sciences (AALAS). 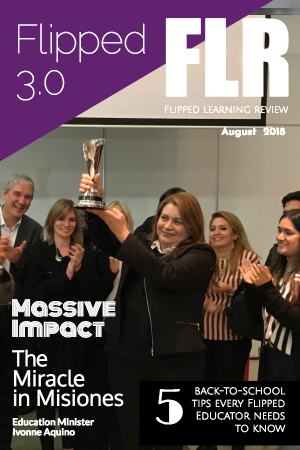 As part of its mission, the newly formed nonprofit organization will manage an exciting new project: The International Flipped Learning Awards. The awards will recognize Flipped Learning and active learning practitioners, researchers, and administrators, as well as Model Schools and universities around the world. AALAS will partner with the creators of the BAM Education Awards to launch the International Flipped Learning Awards program. The primary role of the Academy will be to serve as an independent body to nominate candidates and vote on who will receive the international honors. AALAS is excited to launch a world-class program to recognize active learning around the globe. The first university honor will be presented at FlipCon Australia this summer. It began with a simple question: If we really valued educators like we value entertainers and celebrities, what would the quintessential, cross-discipline symbol honoring all educators look like? 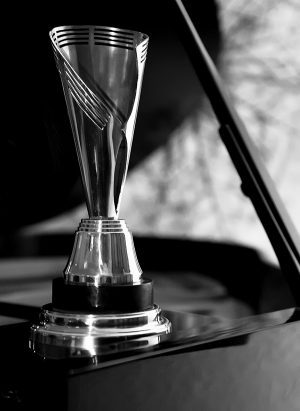 With this goal in mind, the Bammy Award statuette was designed to be rich in symbolism and meaning, visually arresting, and a world-class honor for educators across every domain. Its base is comprised of 14 concentric circles representing while also signifying the various disciplines and support groups that make up the education village – all of which are essential to successfully educating our children. Intended from the outset to be an iconic symbol, the Bammy Award statuette places the recognition we give to educators on par with what we give to the actors, singers, and entertainers whom our culture so highly values. Each Bammy Award makes two quiet but powerful statements: that the recipient has made a difference, and that it takes a village to educate a child.